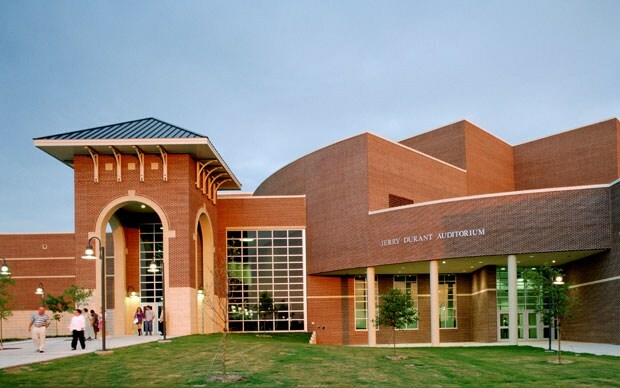 Weatherford High School is a dynamic educational center comprised of two campuses in Weatherford, Texas. The school’s average total enrollment, grades 9-12, is 2,343. The main campus is located just off of Interstate 20 and west of a thriving business corridor, while the Ninth Grade Center is in the shadow of the historic downtown square. Weatherford High School educates students in innovative ways, and offers choices that cater to each student. Dedicated and experienced teachers, administrators and staff foster an environment that offers students opportunities to develop their talents and excel. Our faculty prepares students for postsecondary achievement in college, military, or employment, while tailoring the learning environment to serve students’ varied learning styles. Weatherford High School has a thriving Career and Technical Education program and a robust Advanced Placement program. We have an acclaimed Performing and Visual Arts department as well as support programs such as the Rise Academy and Vocational Training Program (18-22 year olds). Our Early College Academy and Blended Learning Programs are continuing to grow and serve students in innovative ways. Kangaroo Nation also supports a robust athletic program with a history of winning and a bright future. WHS is the home of the Nationally acclaimed Blue Belles and our exceptional Fightin’ Roo Band. Our Weatherford High School family is a tightly woven partnership of School, Parents, and Community that exemplifies the town we live in. We often say, “Roo Pride lasts forever”, and if you look at our past, present, and future Roos...that statement rings true.